In this example we show how to control the start position of an organisation chart using the query string. 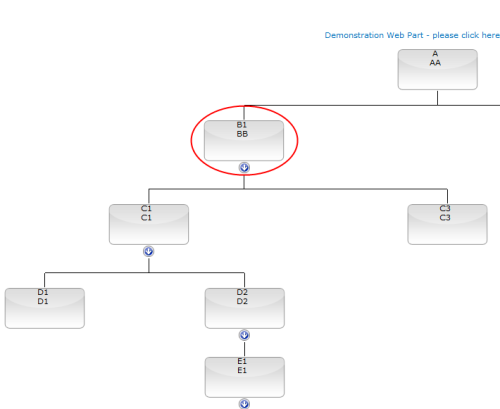 In this example the page developer has an organisation chart that starts with an item AA however the requirement is to display the chart from position BB (circled). The page developer enters the name of the query string field that will be used to contain the start value of the organisation chart. In this example the field choosen is MyQueryField. 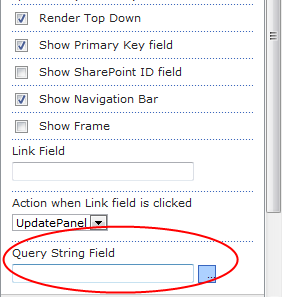 When a SharePoint page that contains an organisation chart is loaded into a users web browser the SharePoint Org Chart web part will look for the field MyQueryField and set the start position of the chart. 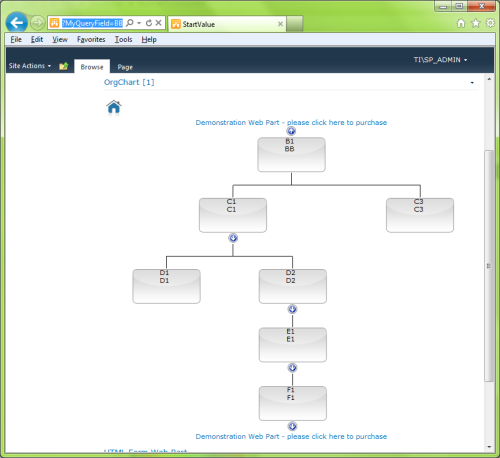 In the final example the URL http://localhost/Pages/OrgChart.aspx?MyQueryField=BB was used to set the organisation chart to the correct postion.